Amidst rumours of many Bollywood marriages on the cards, one was of Varun Dhawan and his long-time girlfriend Natasha Dalal. Recent social media posts and their appearances together at many occasions sparked speculations about their impending wedding. But in recent reports, the Kalank actor has denied the same. It seems that Varun Dhawan decided to speak up about the ongoing wedding rumours wherein he clarified that the wedding is not on the cards. The actor clearly stated that while he is definitely keen on tying the knot, he is not planning to do the same anytime soon. He also maintained that he had a few films lined up in the pipeline and hence, has a busy schedule. On the other hand, the actor went on to appreciate his girlfriend Natasha Dalal. It is a known fact that the two of them have been childhood friends. The actor stated that he really cherishes his relationship with her and also was all praises for her and called her as a supporting pillar of his life. 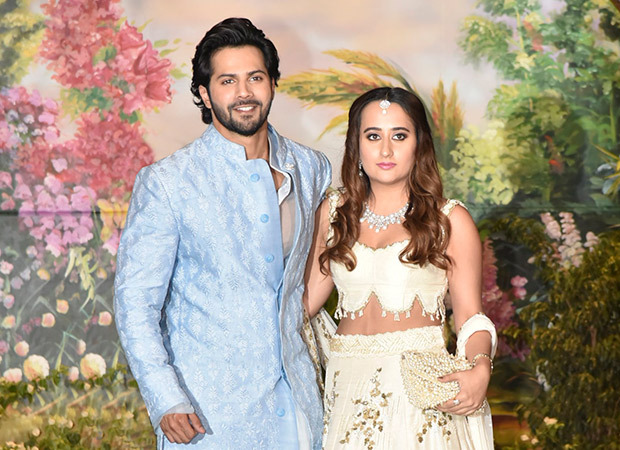 The marriage rumours became rife after Varun Dhawan started making appearances together with Natasha and also walking the red carpet during many memorable occasions. Furthermore, during a recent wedding, while Varun was busy with film commitments, it was Natasha who attended the same along with Varun’s parents David Dhawan and wife Laali. While Varun posted about it on social media, it only fuelled up the rumour mills more regarding their marriage. The actor had clarified on it stating that Natasha had attended functions with his parents on many occasions but it wasn’t photographed earlier. Coming to films, Varun Dhawan is currently juggling between promotions of Kalank and the shoot of Street Dancer 3D. The actor will also be starring in Coolie No. 1 remake which is apparently expected to feature Sara Ali Khan as the leading lady.